Chowking, which is the county’s largest food chain that offers Chinese dishes, just unleashed their new creation: the Chow Pao. This new item on the Chowking menu made me wonder. 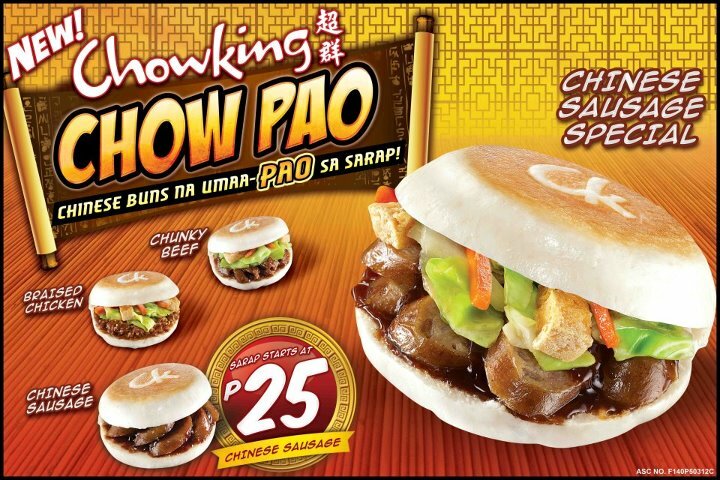 Is the Chow Pao the reinvention of siopao or is it the reinvention of sandwich? This musing came to an end when I visited Chowking last night and ordered the Chow Pao. Chow Pao is sort of a sandwich that has some of our favorite ulam (viand) squeezed between mantao buns. There are three Chow Pao choices to choose from the Chowking menu. These choices are the Chow Pao with chunky beef, Chow Pao with braised chicken, Chow Pao with Chinese sausage and the “special” Chow Pao that Chinese sausage and some veggies. Chowking sells the Chow Pao for 25 pesos per piece, which is I think is affordable. I chose the Chow Pao with Chinese sausage. My mind is filled with thoughts of siopao the moment I sink my teeth to my Chow Pao. The mantao bun gave the feeling I was eating a siopao. The Chinese sausage tasted like normal Chinese sausage, which can also be placed on normal siopao. I like this new item on Chowking menu. The fast food restaurant reinvented siopao to give it a new appeal. Now I wonder what the other three choices of Chow Pao taste like. Visit Before the Eastern Sunset and read about NAIA Terminal 3. We've tried this. For us, it tastes ok but average. Not bad for its price, but I'll probably stick with their bola-bola siopao. Yeah. Iwill stick with the bola-bola too.